Biển Ngọc 20 have 11 deluxe cabins of 14m2. They are equipped with standard facilities, response fully to 3 star hotel room. All cabins are open to the sea and have private WC, hot shower and air-conditioning. Bed types include twins or double rooms. 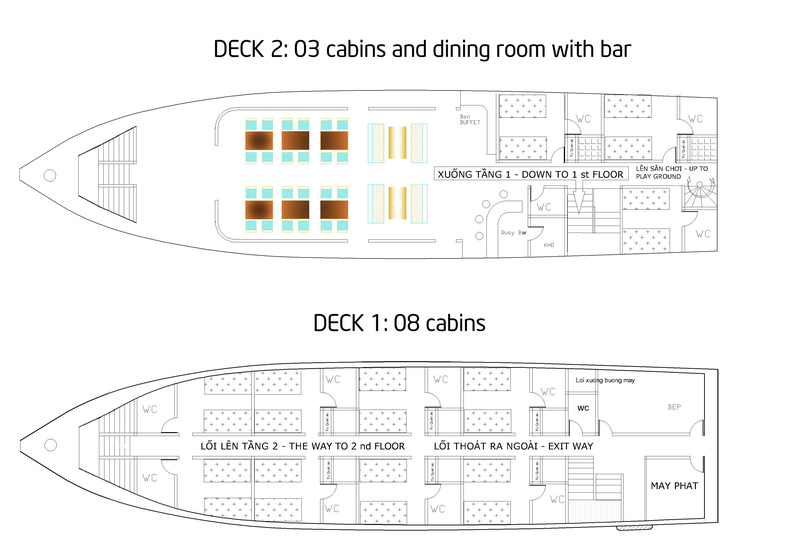 Each cabin has the capacity of 2 adults.